May 24, 2016, Santa Monica, CA — WSL Holdings, the parent company of the World Surf League (WSL), today announced an agreement in principle to acquire a majority stake in the Kelly Slater Wave Company (KSWC). The partnership between the WSL and KSWC will be dedicated to promoting the growth of high-performance surfing around the world. KSWC’s revolutionary technology creates a number of possibilities for the future of the sport. The WSL and the KSWC envision the build-out of a global network of WSL-branded high-performance training centers utilizing this wave technology. The WSL sanctions and organizes the highest-level professional surfing competitions for men, women, big wave, longboarders and juniors. 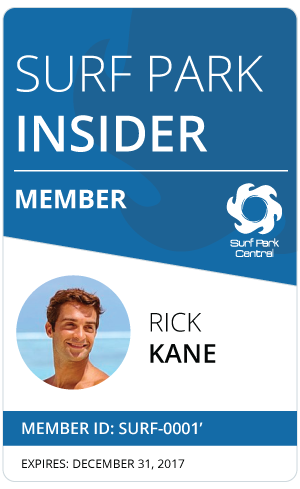 KSWC technology creates an opportunity for surfers to practice and develop ever-higher levels of performance in a repeating environment, with unprecedented opportunities for surrounding camera and sensor arrays providing immediate and perfectly accurate feedback on their progress. This is the first repeatable man-made wave that convincingly delivers the power and shape of ocean waves most sought after by accomplished surfers, including a hollow barrel allowing for long tube rides. While high-performance surfing is the core mission of both the WSL and the KSWC, the wave technology is flexible and can also create variable waves for beginner and intermediate surfers. WSL Holdings is the parent company of the World Surf League (WSL). The transaction is subject to the negotiation of mutually agreeable definitive documentation, among other customary conditions. Both WSL and KSWC will continue to operate independently as separate entities following the closing of a transaction. Financial details of the acquisition were not disclosed. Kelly Slater Wave Company (KSWC) is an innovative wave technology company. KSWC is the first company to develop a formula that combines cutting edge science, engineering and design to create the longest, open-barrel, high-performance wave in existence. The wave system can mimic the power, speed and experience found in the best ocean waves. As envisioned by 11-time world champion Kelly Slater, KSWC was created to evolve the sport of surfing by making it more accessible. The company is creating world-class, high-performance training centers where top athletes can perfect their talent. In addition, the company is looking at development applications for surfers of any level to enjoy the best man-made waves.